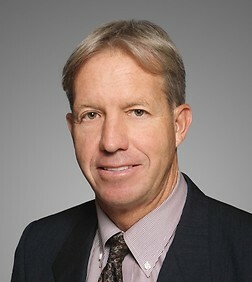 Greg Hurley is a partner in the Business Trial Practice Group in the firm's Orange County office. Greg is a member of the Attorney Settlement Officer Panel for the U. S. District Court for the Central District of California, having first been continuously appointed to the Panel every year since 2003. He holds a masters certificate from the National Institute of Trial Advocacy, and has tried many national class actions alleging discrimination and violations of the Fair Housing Act and the Americans With Disabilities Act. He has advised the California Supreme Court (through the Administrative Office of the Courts), Covenant Care, Home Depot, Intrawest, Ralph’s / Kroger’s Grocery Stores, Starbucks, Tarsadia Hotels, the Denver Broncos, the San Diego Padres, the U.S. District Court for Eastern District of California, and, the Superior Courts for the Counties of Riverside, Los Angeles, and Alameda on these claims. He has represented the Los Angeles Superior Court System, Taco Bell, KFC, and Pizza Hut, Little Caesar’s Pizza, Home Depot, The Irvine Company’s Retail, Office and Resort Properties, 23 Irvine Apartment Communities, Welk Resorts, Live Nation/TicketMaster, Winco, Michaels/Aaron Brothers Craft Stores, Kroger & Ralphs Grocery Company, Regal Entertainment Group, Landmark Theaters, the National Association of Theater Owners, The National League of Cities, The California Hotel & Lodging Association, with respect to access discrimination claims. Greg’s trial experience includes trying state and nation wide class actions: He represented California in the largest class action certified against the State, involving more than 10 Million claimants against 4000 miles of Caltrans pedestrian routes and 90 Park & Ride facilities; He defended a class action brought by the ACLU against the entire Los Angeles Superior Court System; A national action brought by the United States Department of Justice against AMC Theaters; A national class action against 80 golf courses owned and operated by Marriott; He is currently defending statewide class actions against Starbucks, In-N-Out Burgers, Auto Club of Southern California, Ralphs Grocery Stores; Adir/La Curacao Store; Sport Chalet; Regency Theaters; and The Irvine Company. In 2012, he successfully de-certified a damage class action against more than 200 Taco Bell stores. Greg’s experience includes substantial appellate work, where, against numerous amici and the US DOJ, he argued and won landmark Ninth Circuit cases: Lonberg v. Sanborn Theaters; Oliver v Ralphs Grocery Store; and Lonberg v. City of Riverside. He authored United States Supreme Court briefs and Ninth Circuit Appellate briefs for the National Association of Theater Owners, The California and National Restaurant Associations, the California and National League of Cities, and more than 200 California cities. Greg is a nationally recognized attorney on disability law, and the author of the Wiley Law Publications text, Defending Disabled Access Claims, a comprehensive survey of state and federal laws relating to the rights of individuals with disabilities. Greg sat on the committee advising the California State Legislature on revisions to California’s discrimination laws and drafting of the new SB 1186 statute. In his 27 year career, Greg has spoken at more than 100 conferences and written more than 30 articles on access laws.